COLORADO SPRINGS, Colo. – Normand “Bill” Belisle, Craig Janney and the 1996 World Cup of Hockey Team will be enshrined into the United States Hockey Hall of Fame as the Class of 2016, it was announced today by USA Hockey. Normand “Bill” Belisle (Manville, R.I.) will enter his 42nd season as head boys’ hockey coach at Mount Saint Charles Academy (Woonsocket, R.I.) in 2016-17, having spent the past five decades transforming the Mounties into a national power and one of the country’s most famous prep programs. Head coach at Mount Saint Charles since 1975, Belisle’s remarkable run to date has included many significant milestones, among them: 26 consecutive state titles (1978-2003); 32 state championships in 41 years at the helm; 990 wins entering the 2016-17 campaign; two first overall NHL draft picks, including Brian Lawton, the first-ever American to be selected first overall in 1983 and Bryan Berard in 1995; and more than 20 Mounties who have gone on to be drafted by NHL clubs, including 2015 U.S. Hockey Hall of Fame inductee Mathieu Schneider. A 2000 inductee into the National Federation of State High School Associations Hall of Fame, Belisle himself is an alumnus of Mount Saint Charles (1948), where he played hockey for its 1947 state championship team. 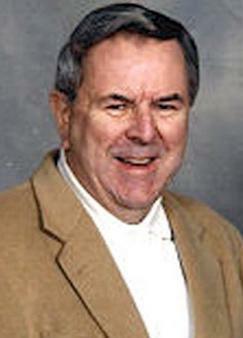 Belisle was inducted into the Mount St. Charles Athletic Hall of Fame in 2014. Heading into the 2016-17 campaign, Belisle has a 990-183-37 overall record (.818) and a mark of 545-65-17 (.869) in games played at home. Craig Janney (Hartford, Conn.), one of the most legendary playmakers of his era, skated 12 years in the NHL after being selected by the Boston Bruins in the first round, 13th overall, of the 1986 NHL Entry Draft. Among American-born skaters in the NHL, Janney ranks first in career assists per game (0.741) and fourth in points per game (0.988) while his 563 assists are 11th all-time. In 760 career NHL games, the Hartford, Connecticut, native registered 188 goals and 563 assists for 751 points while playing for seven teams (Boston Bruins, St. Louis Blues, San Jose Sharks, Winnipeg Jets, Phoenix Coyotes, Tampa Bay Lightning, New York Islanders). During his time in Boston, Janney helped the Bruins reached the Stanley Cup finals in both 1988 and 1990. Prior to the NHL, Janney skated two seasons with the Boston College men’s ice hockey program. In his second campaign (1986-87), the Deerfield Academy (CT) product was a Hobey Baker Finalist after setting Hockey East Association single-season records in points (74) and assists (51). In total that season (1986-87), Janney recorded 83 points (28-55) in 37 games played. Internationally, Janney represented the United States on six occasions, highlighted by helping the U.S. get to the finals of the Canada Cup in 1991 and also earn its first-ever medal (bronze) at the IIHF World Junior Championship in 1986. He also played for Team USA in the 1988 Olympic Winter Games after spending the season as a member of the U.S. Men’s National Team leading up to the Games. In addition, Janney competed in two IIHF Men’s World Championships (1987, 1994) and the 1985 IIHF World Junior Championship. 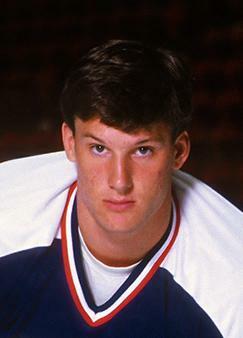 He was selected to represent the U.S. in the 1987 IIHF World Junior Championship but could not play due to mononucleosis. All total, Janney registered 98 points, including 41 goals and 57 assists, while donning a Team USA sweater. 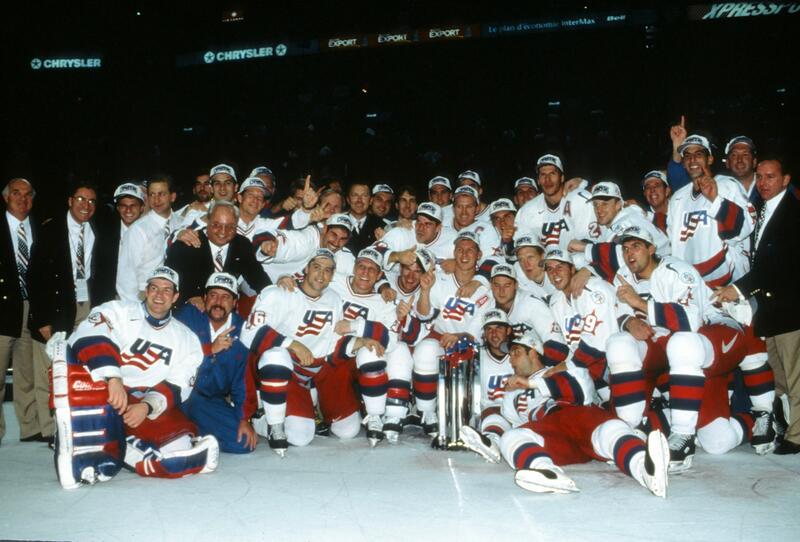 The 1996 World Cup of Hockey Team cemented itself in U.S. hockey history thanks to the success it enjoyed at the inaugural World Cup of Hockey. Behind the guidance of Head Coach Ron Wilson, Team USA finished the tournament 6-0-1-0 (W-OTW-OTL-L) and outscored its opponents, 37-18. After claiming an impressive 5-3 victory over Canada to open the tournament, the United States swept round-robin play before defeating Russia, 5-2, in the semifinals. In the best-of-three championship series against Canada, the U.S. dropped the opener by a 4-3 count in overtime in Philadelphia before winning a memorable pair of 5-2 victories in Montreal to secure the country’s greatest tournament victory since the 1980 Miracle on Ice. In the third and decisive game, the U.S. received spectacular goaltending from tournament MVP Mike Richter and rallied from a 2-1 deficit in the third period by scoring four goals in the final 3:18 of the game with Tony Amonte accounting for the game-winner. Forward Brett Hull, defenseman and captain Brian Leetch, and Richter, put forth performances that ensured a U.S. player finished first in nearly every statistical category. Hull paced all skaters with seven goals and 11 points while Leetch shared the tournament lead in assists with seven, and Richter’s .923 save percentage was the best among starting netminders. To date, 16 members from Team USA’s 1996 World Cup of Hockey squad have been inducted into the U.S. Hockey Hall of Fame. The date and location of the 2016 U.S. Hockey Hall of Fame Induction Celebration, which will include the formal induction of the Class of 2016 as well as the presentation of the Lester Patrick Trophy, will be revealed later this month. NOTES: U.S. Hockey Hall of Fame inductees are chosen on the basis of extraordinary contribution to the sport of hockey in the United States … The U.S. Hockey Hall of Fame was incorporated in 1969 and inducted its first class in 1973. To date, there are 169 enshrined members in the Hall. For information on the members of the U.S. Hockey Hall of Fame, visit USHockeyHallofFame.com ... The U.S. Hockey Hall of Fame Museum, located in Eveleth, Minnesota, is open daily. For hours of operation and admission prices, visit USHockeyHallMuseum.com or call 800-443-7825.